The substances which are added to the soil to increase its fertility are called fertilizers. But, fertilizers contain toxic chemicals which decrease the amount of organic matter in the soil and it also harms the environment. Fertilizers contain nitrogen in excess amount which can change the color of leaves from green to yellow or brown, causing the plants to wither and die and also reducing the crop yield. This is known as “chemical leaf scorch”. The overuse of fertilizers increases the amount of nitrogen which can also lead to soil acidification. Excessive nitrogen can also damage the topsoil. Sandy soils are much more prone to soil acidification than are clay soils. Clay soils have an ability to buffer the effects of excess chemical fertilization. Using excessive fertilizers also hardens the soil. Using fertilizers can contaminate the groundwater too. Nitrogen groundwater contamination also contributes to the “dead zones” of marine life. It is said that fertilizers are compounded when mixed with a single pesticide. Soil has millions of tiny living organisms called micro-organisms like bacteria, fungi etc. These micro-organisms play an important role to help plants consume nutrients which they need to grow. Micro-organisms also help the soil store water and nutrients, regulate the water flow and also to remove the pollutants. 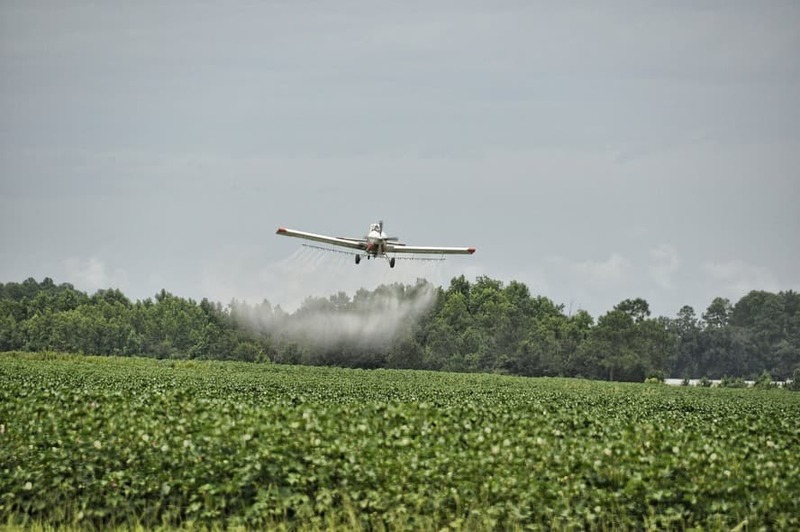 Once, when the fertilizers are sprayed, the nitrogen is introduced into the ground system and the ammonium ions which are normally in balance with ammonia in the soil are disturbed. This action causes a disturbance in the pH of the soil which affects the plant growth. Phosphate based fertilizers are also used in addition to nitrogen-based fertilizers. Unfortunately, as with nitrogen-based fertilizers, there are negative environmental consequences. The increasing use of phosphate fertilizers has led to the growth of phosphorous in the soil. Thus, high concentrations of phosphorous flow away with agriculture runoff. A popular fertilizer known as urea produces ammonia, leads to acid rain and also decreases the amount of ozone due to the release of nitrous oxide by the process of denitrification. Ammonium sulphate is a fertilizer. If it is overused then it will decrease the amount of phosphorous in the soil which is essential for crop growth. Di-Ammonium Phosphate is the world’s most widely used Phosphorus fertilizer. It is made from two common constituents– Nitrogen and Phosphorus. It leads to many lung diseases and it also leads to cancer. Ammonium chloride is an inorganic compound with the formula NH4Cl and a white crystalline salt that is highly soluble in water. Ammonium chloride is harmful as it is an inorganic compound and contains a high amount of nitrogen. Ammonium sulphate nitrate (ASN 26:13) is a granular product with brown or beige granules. This fertilizer contains 19% N in ammonium and 7% nitrate forms as well as 13% of sulphur as sulphate. Calcium ammonium nitrate or CAN, also known as nitro-limestone, is a widely used inorganic fertilizer, accounting for 4% of all nitrogen fertilizer used worldwide in 2007. It is a chemical fertilizer that has excess nitrogen in it which can decrease the organic matter in the soil. Anhydrous NH3 contains 82% N. the highest amount of any nitrogen fertilizer. In some respects NH3 behaves like water, since they both have solid, liquid, and gaseous states. Anhydrous ammonia is an efficient and widely used source of nitrogen fertilizer. After fertilization, high concentrations of ammonia temporarily inhibit soil microbes in the fertilizer retention zone. Bacteria are sensitive to ammonia and are affected by this to a greater extent than fungi. Over time, ammonia concentrations gradually decline as the ammonia adheres to soil particles or moves with water away from the application site. As ammonia concentrations decrease, soil microbes repopulate the affected area. you wrote very useful and knowledgable and too important. This web site is really a walk-through for all of the info you wanted about this and didn?t know who to ask.